Our plumbing and heating division covers all aspects of work, whether you’re having trouble with your hot/cold water or want that new bathroom you have been waiting for, please look at our dedicated page to start the ball rolling on your dream bathroom. We are ready to install, repair or give advice on any issues you may have within your property. From new gas boilers and heating systems to servicing and maintaining household appliances. We can also complete any landlords certificates or annual servicing and through our database inform you of when it expires, taking the worry out of your hands. Maybe you can’t explain why your radiators are not working as efficient as last winter or you’re looking to update your plumbing and heating system to pressurised hot water and heating then we can advise and competitively price anything you wish for, making sure the right system is for you. It may just come down to your system needs a good service which is where our power flushing service helps flush out all the sludge and debris from your system leaving it clean and more efficient prolonging the life of your boiler. We pride ourselves on using copper pipe and fittings where possible leaving you with a much neater finish. 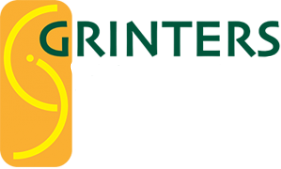 No matter what the job is, Grinters is here to give our customers what you desire.